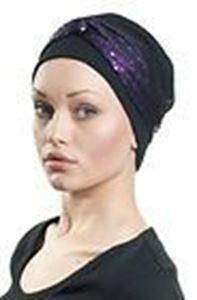 The Anna Hat is made of 50% cotton and 50% polyester (varies with design). It is easy to change the colour by removing the wrap. Pull apart the velcro adjusters and replace with another colour.